In this episode, Paul speaks about his motivation for starting the podcast, Sound Financial Bites. The goal of Sound Financial Bites is to provide listeners with access to solid financial knowledge that they can use for practical application. 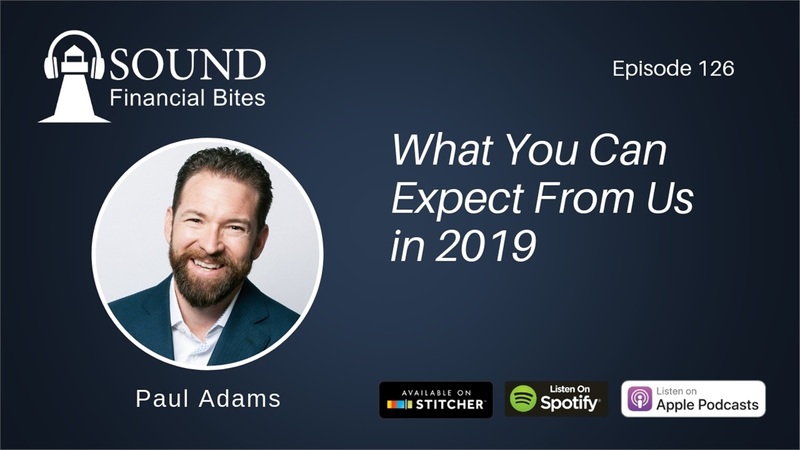 Paul wants clients, prospective clients and the average listener to get bite-sized information weekly that can significantly impact their financial situation. By scrutinizing their own decisions, listeners can question traditional financial authorities and understand what options are best for their financial future. Paul talks about financial freedom and the idea of building a surplus of wealth. The more you build and orchestrate an efficient financial life, the more freedom you will inevitably have. Paul discusses real-life examples of clients who he has been able to consult with and assist over the years. Paul’s company, Sound Financial Group, has committed to meeting and serving clients where they are financially, psychologically, emotionally and physically. Their wealth-building design process is meant to coach individuals, giving them key financial knowledge and strategies to fulfill in the future that they want. Finally, Paul leaves the audience with access to his one-page financial strategy. The plan includes a three-year breakout of all personal, financial and professional objectives in order for the audience to keep on track with their goals. Ultimately, it is the goal of Sound Financial Group and Paul to provide people with the tools to design and build a good life.